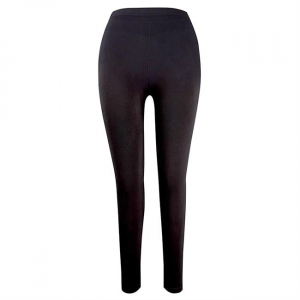 Our best-selling pant in short form! 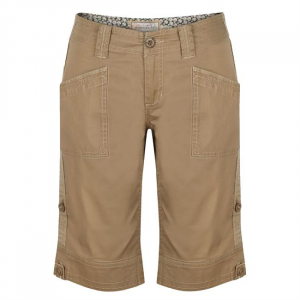 These shorts feature a slightly higher rise for those who would like a little more coverage. 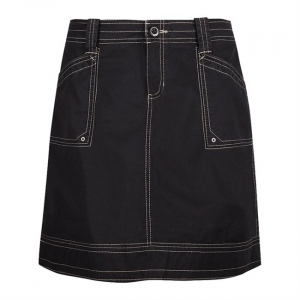 Add cute contrasting stitching throughout and the rolled details at the bottom and you've got the perfect short for spring! 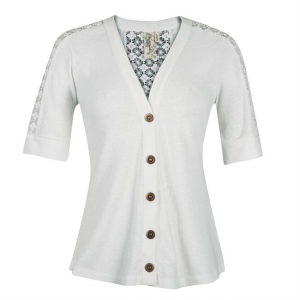 Embrace spring's warm weather with this stylish, short-sleeved cardigan. Crochet cut-out details run the length of the sleeves and down the back. You'll reach for it every time you open your closet! It's the little details that help dress up the basic long sleeve Amaya Top. 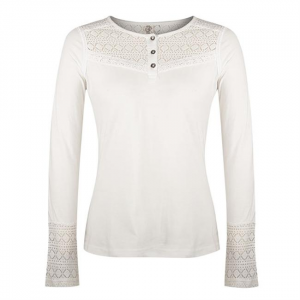 Made of 100% organic cotton, the Amaya features a 3-button placket and pretty crochet details along the front, back placket and sleeve cuffs. Go for the maximum "wow" this spring with the Ashby Maxi Dress! A stunning paisley pattern adorns the hem of this super soft eco-friendly dress. This fun knit skirt is unlike anything you've ever seen! The Fair Isle pattern on the Avalon Skirt will turn heads when paired with a coordinating top and vest. Chic winter style has never been so easy to achieve! 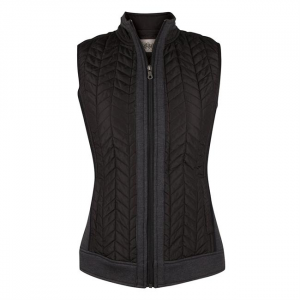 The soft quilting of the Bramwell Vest is offset by knit trim on the bottom hem, sides and collar. Layer it over your favorite basic top for a classic fall look. This open-knit pullover sweater features a floppy hood and 2 button placket and is perfect for cooler fall temperatures. Layer the Brandi Sweater over your favorite top and never worry about looking bulky or frumpy. You'll love the lightweight, breezy feel of the 100% rayon Calista Tank. 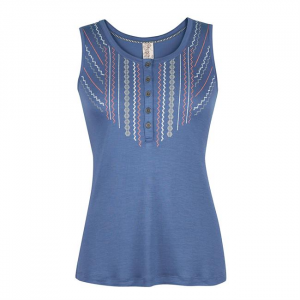 A contrasting embroidery-inspired print and a 5-button placket line the front of this casual top. 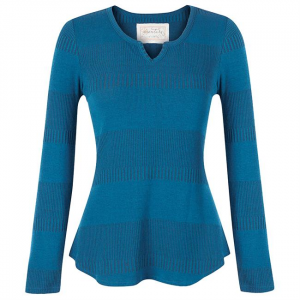 Every closet needs the perfect layering piece and the Cate Top is it! 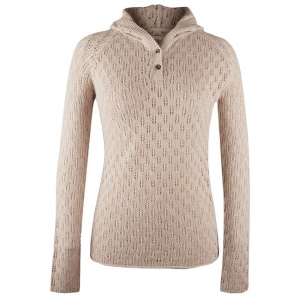 The varigated rib knit texture and split neckline dress up this otherwise basic and cozy long sleeve top. Nothing beats a sweater dress on a cool fall day! You'll love the all-over geometric print on Aventura's knit Clara Dress. Pair it with leggings and their Reagan Jacket for the perfect cozy fall outfit. The cloche hat is having a major comeback! 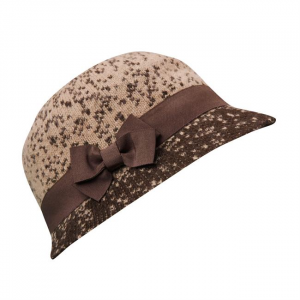 The Donna Cloche Hat is Aventura's revival of this classic style and features a spotted 2-tone knit with a wrapped ribbon bow. Nothing beats a sweater dress on a cool fall day! You'll love the all-over geometric print on the knit Fallon Dress. Pair it with leggings and a structured jacket for the perfect cozy fall outfit. Cap sleeves, a faux wrap front and cute keyhole and belt details make the Garland Dress feminine, flirty and most of all, fun! The all over medallion print and organic cotton/modal blend will set this unique dress apart in your spring wardrobe.